The proposed Northern Gateway pipeline from Alberta to Kitimat, British Columbia, posed profound challenges for Indigenous rights and ecological justice. The proposed pipeline would have run 1172 kilometers and carried 525,000 barrels a day of diluted bitumen to the west coast for export by tankers mostly to Asian markets. A second pipeline would have carried hundreds of thousands of barrels of condensate (used to dilute the bitumen) back to Alberta each day. It would have allowed for increased extraction of bitumen from the Alberta tar sands, resulting in a substantial increase in greenhouse gas emissions. The project was cancelled by the federal government in November 2016. The pipeline would have traversed hundreds of streams and rivers where salmon spawn and cut through landscape prone to landslides and occasional earthquakes. Oil tankers would have had to navigate narrow marine channels, including the Hecate Strait, one of the most difficult bodies of water in the world in terms of navigation. 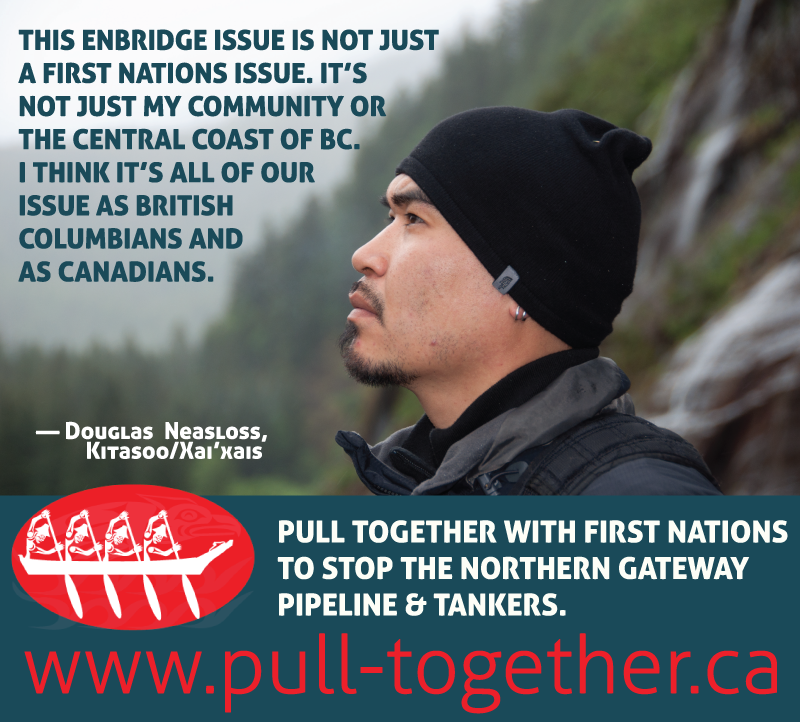 Many First Nations felt impacted by Northern Gateway and expressed concern for the fragility and interconnectedness of ecosystems on traditional lands. KAIROS calls for a renewed covenant with Indigenous peoples in Canada, one that upholds rights to be self-determining, distinct peoples with an adequate land base. These rights are central to the United Nations Declaration on the Rights of Indigenous Peoples (UNDRIP). Respecting jurisdiction over traditional lands was foundational to negotiations about Northern Gateway. KAIROS has also adopted a policy statement calling for no further approvals for tar sands projects to help contain climate change and out of concern for Indigenous peoples whose rights, health and livelihoods are threatened by tar sands projects. KAIROS stood with Indigenous communities and other concerned organizations to oppose the Northern Gateway Pipeline. KAIROS staffer Katy Quinn traveled to Haida Gwaii and Prince Rupert in 2012 to attend hearings of the Northern Gateway Joint Review Panel, meet the communities that will be affected by the proposed pipeline, and to see the area, including the proposed supertanker route into Kitimat. Take a look at what she saw in the Flickr album below. Sixty-six First Nations in British Columbia came together in 2010 to declare their opposition to the proposed Enbridge Northern Gateway Pipeline and protect their lands, territories and watersheds, and ocean migration routes of Fraser River salmon. Since then, an additional 40 First Nations from BC, Alberta and the Northwest Territories have signed the document. Visit the Save the Fraser website for more information on the declaration, including maps and a video of the signing. Click image for PDF version of the declaration. The Coastal First Nations is an alliance of First Nations on British Columbia’s North and Central Coast and Haida Gwaii. 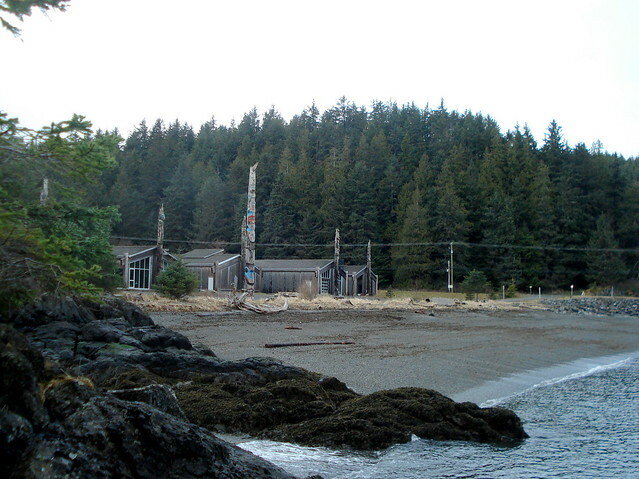 The Coastal First Nations include Wuikinuxv Nation, Heiltsuk, Kitasoo/Xaixais, Nuxalk Nation, Gitga’at, Haisla, Metlakatla, Old Massett, Skidegate, and Council of the Haida Nation. Lax Kw’alaams is an associate member of the Coastal First Nations. In the face of threats to their ancient Northwest cultures and livelihoods, these nations have issued a declaration, banning oil tankers carrying Alberta tar sands crude oil from their lands and waters. They have also made a declaration to affirm the value of and protect their culture and the natural world. You can find out more about the Coastal First Nations on their website. 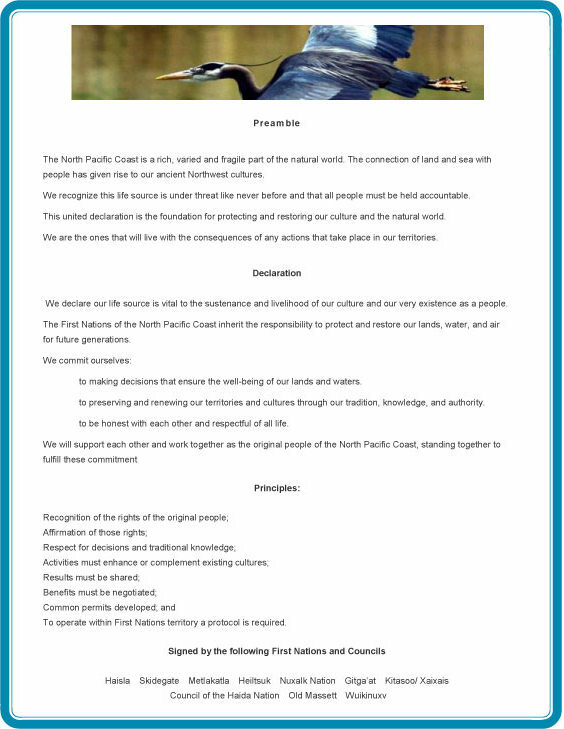 Click image for PDF version of the declaration.